POPULAR singer/songwriter Josh Wilson has released a five-song EP through Black River Entertainment. 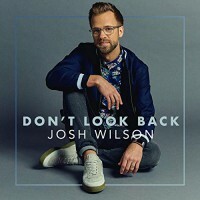 Read a press release, "Josh Wilson offers this five-song collection of thought-provoking CCM and pop originals. 'Don't Look Back' includes the title track, plus hit single 'Dream Small'."